Travelling has always been considered an education. Early thinkers, philosophers, writers, and poets traveled place to place as part of their education, in search of knowledge since the historical times. 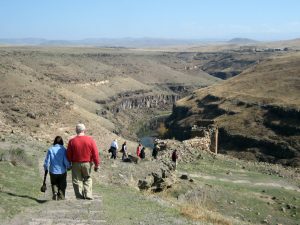 Diversity and richness of Turkey’s history and nature have always attracted many nonprofit or profit travel institutions to develop affinity travel programs to enhance global awareness by building a cultural bridge between the communities they visit and their travelers by educating and connecting them for a deeper understanding. New Faces Travel have hosted and served as ground operators for hundreds of non-profit institutions, museums and alumni associations through the most respected tour companies, mainly from USA. Every program and tour with different institutions, which have a different focus, interest and specialty, has helped us to understand and experience the exact needs of this niche market over the years. We are the “flag takers” in Educational Travel with our carefully planned and profound tours, focusing on lifelong learning through experiential travel. After 26 years of serving the educational travel market, we have achieved unmatched skills and expertise in designing special itineraries. Providing in-depth discovery of the sites with special lectures, including the living cultures of the places visited, we gain special access to private properties or sites of new discoveries, which are not open for public visits, combined with our traditional hallmarks of comfort and style. Please contact us to help and design a special experience to your esteemed guests.